We are growing a resiliently abundant Food Forest on the side of the Ouse valley at Rodmell, East Sussex. The forest site was initially created in the winter of 2012, using permaculture surveying and design; and we continue to grow using permaculture principles, as well as those of organic growing and the lunar planting cycles. It has been our intention to create a diverse, robust, edible and otherwise useful landscape that nourishes and delights. The project covers approximately 2 acres, with a flourishing forest garden and a poly-culture vegetable growing space designed with swales and Hugelculture beds. 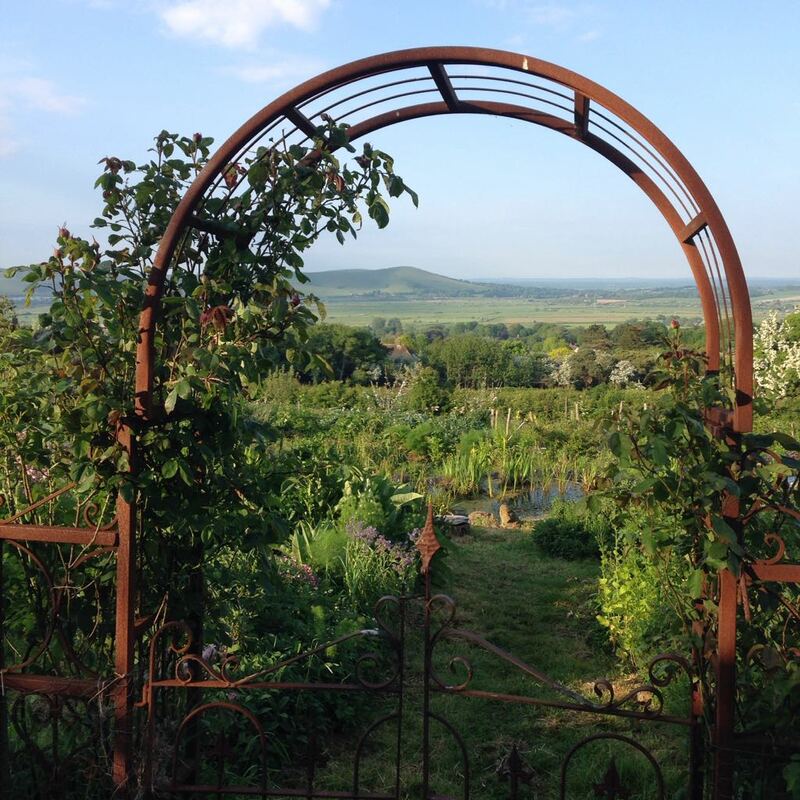 The entire garden hosts over 100 different species of edible and medicinal plants, as well as numerous fruit trees & shrubs (Apple, Plum, Medlar, Elderberry, Mulberry, Gooseberry, Black/Red/Whitecurrant, Josterberry, Wineberry, Chokeberry to name a few); 2 small areas of old orchard, and a wildlife pond. We work with natural processes and strive to produce a self-sustaining, perennial-rich system with vegetables, fruits, flowers and herbs – with the intention of having an open space where people may come to learn, share, and co-create a biodiverse, resilient, abundant and local food system. The site was designed by Peter Cow (see Our Team) over 5 years ago, and is funded by the current owner of the land and benefactor, Roger Ross. On the ground is the Garden Team who work in maintaining and evolving the space –watching nature unfold itself in the most bountiful of ways. We are also supported by volunteers on the project from the local area, as well as WWOOFer’s for longer periods (see Volunteer With Us).